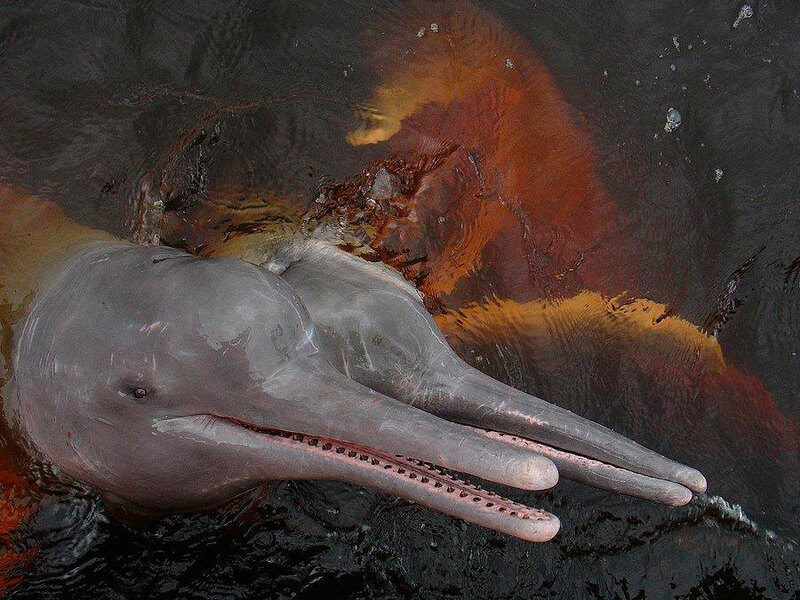 The Delfin III • Use the form below to contact us directly. Fill in the fields to check availability & reserve direct with The Delfin III. 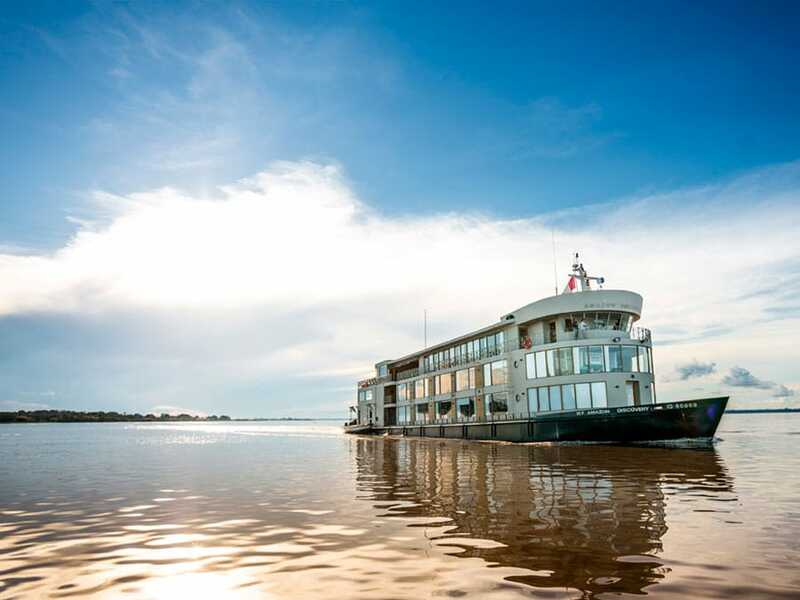 The Delfin III (previously known as the Amazon Discovery Cruise), provides a luxury cruise of the Amazon River. 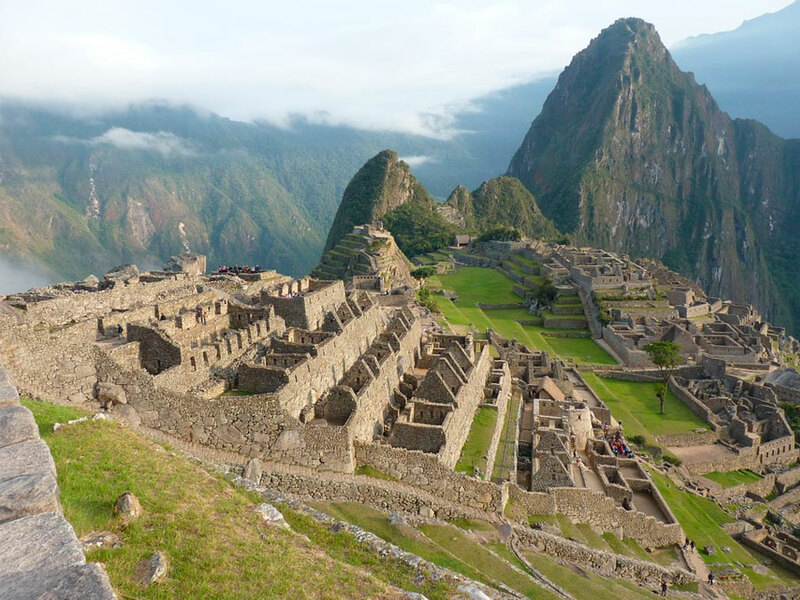 The vessel features hardwood floors, designer furniture, and is dotted with handmade Peruvian artifacts. 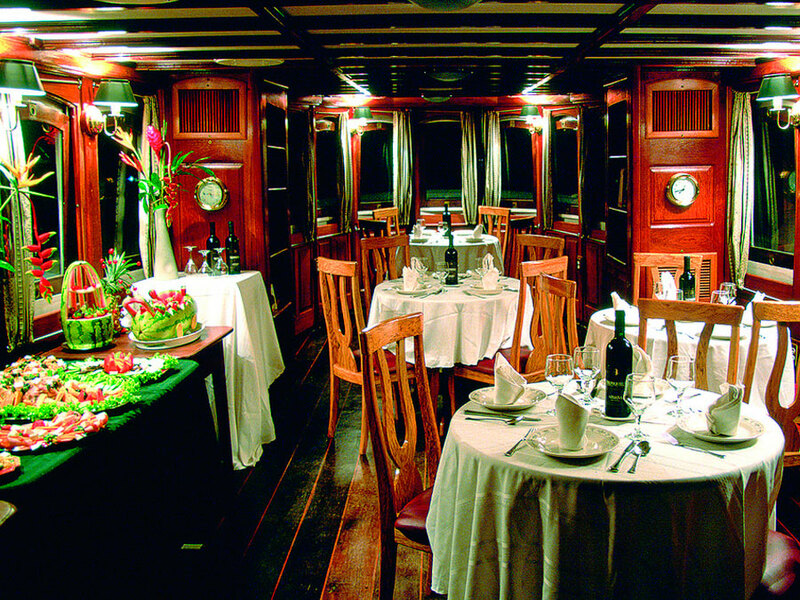 Choose from a range of suites from the large Owner’s Suite on the upper deck, the two spacious Corner Suites on the lower deck, or the Regular Suites throughout the vessel. The vessel has 21 rooms in total. The vessel is fitted with wall to wall windows to keep you connected to this fantastic environment and even spot different wildlife from the comfort of the vessel. 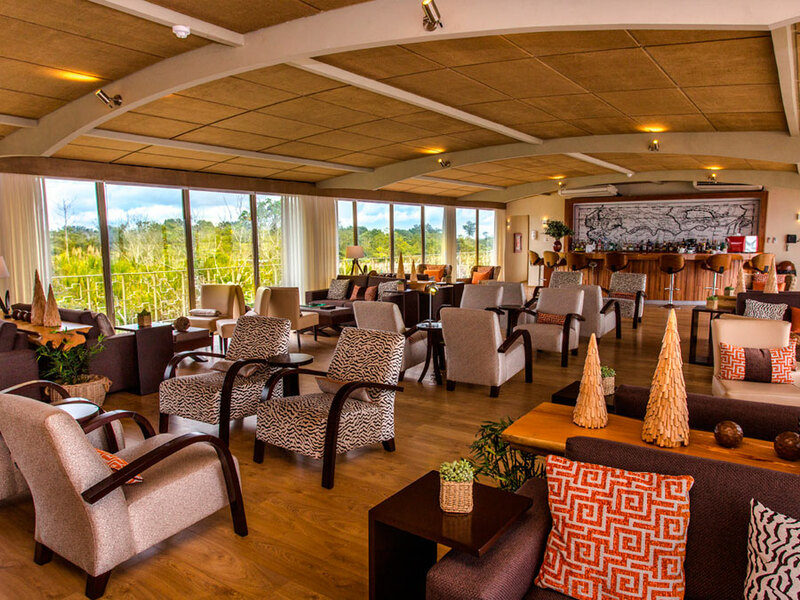 The facilities you can enjoy include the indoor and outdoor lounges, a sundeck with plunge pool, gym, spa, and full bar. 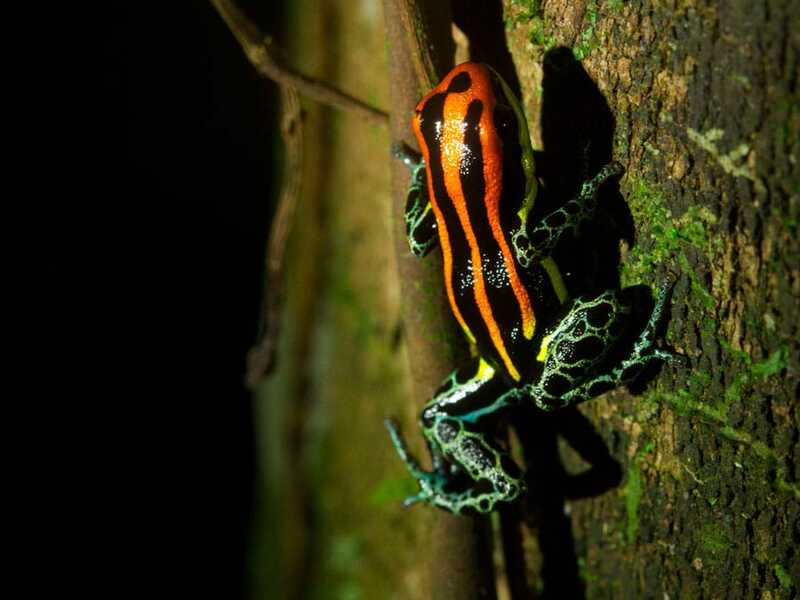 Explore the rainforest of the Marañon and Ucayali Rivers in the Pacaya Samiria National Reserve with its incredible array of Amazon Rainforest animals and plants. 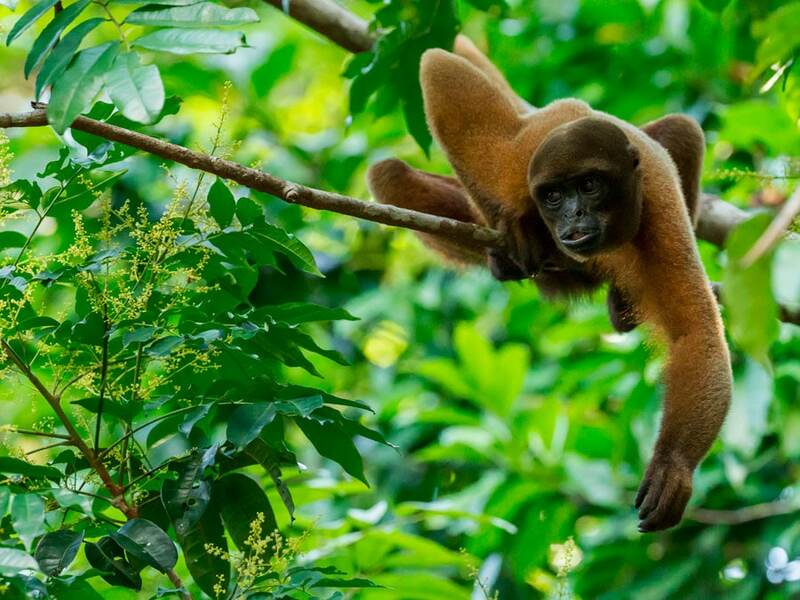 See several different monkeys, such as howler monkeys, tamarins, and marmosets on skiff excursions and forest walks with your highly trained guide. You have a choice from a range of suites and staterooms. Although there are many different comfortable areas, your suite will probably be where you spend the majority of your time while on-board. Enjoy daily room service, individual climate control, and comfortable, high-quality bed linen. Your suite and en-suite bathroom feature natural therapeutic bath amenities, very comfortable bath robes and slippers, lots of storage space, and even telescopes for star-gazing. 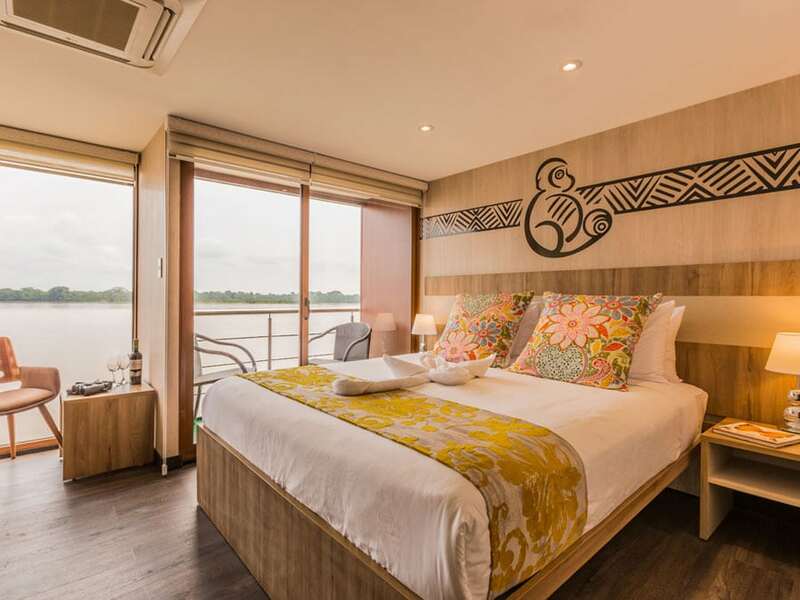 The Delfin III suites feature floor-to-ceiling windows to keep you connected to the rainforest and are located on the first and second deck of the vessel. 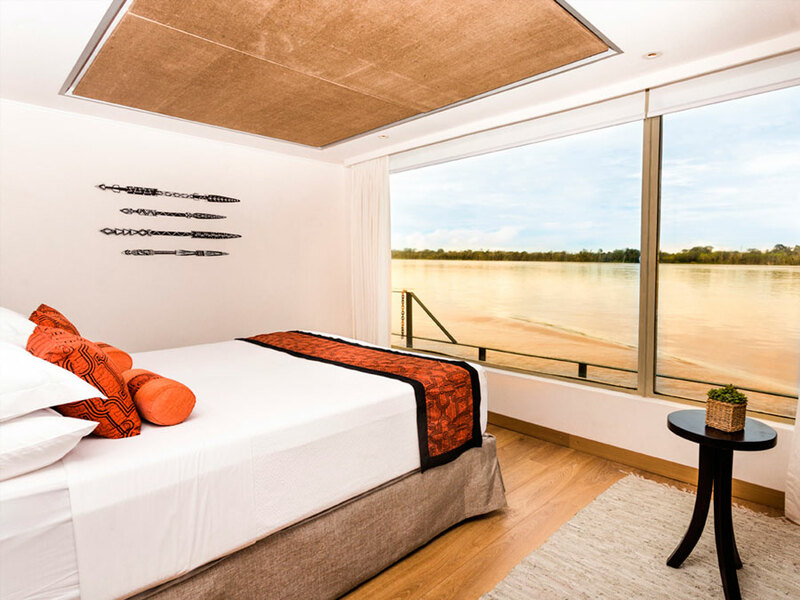 Enjoy king-sized beds fitted with the highest quality Peruvian cotton and areas to relax watching the rainforest. The Corner Suites are found on the first deck at the front of the Delfin III where you can enjoy 90-degrees of floor-to-ceiling windows. 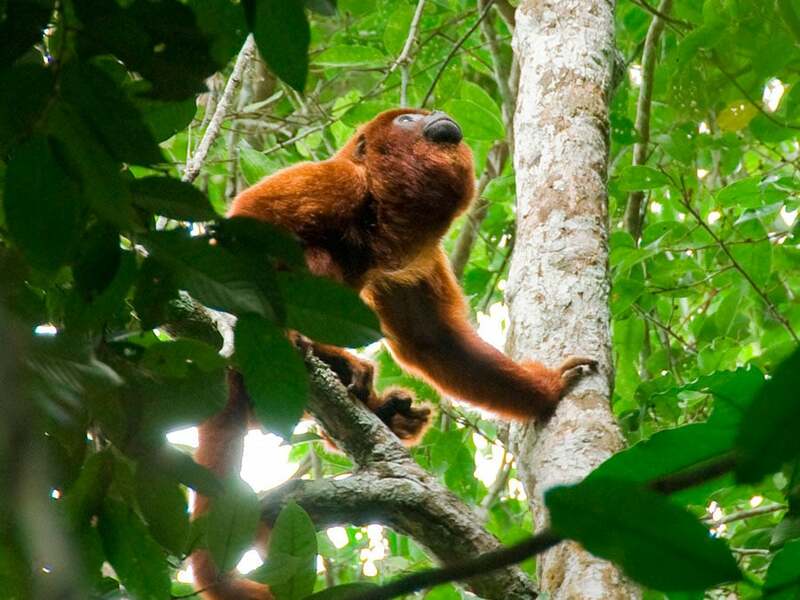 Here you can enjoy incredible views as we head deep into the Pacaya Samiria National Reserve. In addition to high quality bed linen and comforts, your suite includes one complimentary 60-minute spa treatment per guest, a stocked mini-bar, and a scented bath upon request. Laundry is also included (limited to 10 pieces twice per cruise). The most spacious and luxurious suite on the Delfin III, the Owner's Suite is located on the second deck at the front of the vessel for incredible views. 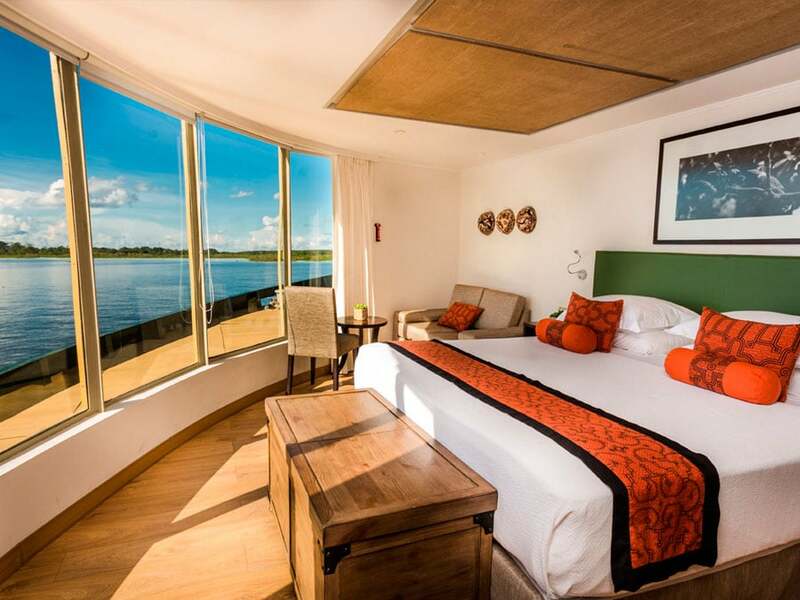 Enjoy 180 degree floor-to-ceiling windows to stay immersed in the view of the Amazon Rainforest. Your suite includes one complimentary 60-minute spa treatment per guest, a stocked mini-bar, and a scented bath upon request. Laundry is also included (limited to 10 pieces twice per cruise). The Dining Room is where the ship’s expert culinary team provide a serious of delicious and delicately prepared creations. 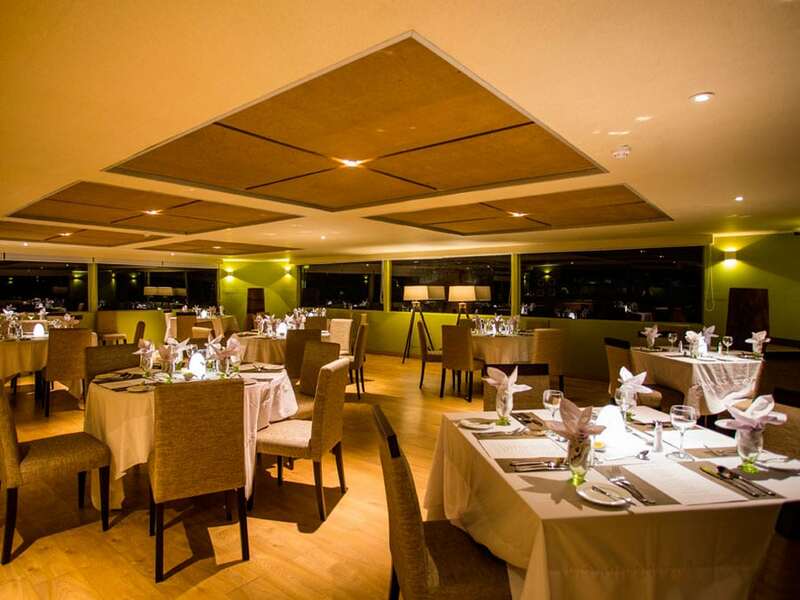 The menu includes a range of roasted meats, grilled fish, fresh vegetables, tropical fruits, and delicious desserts. 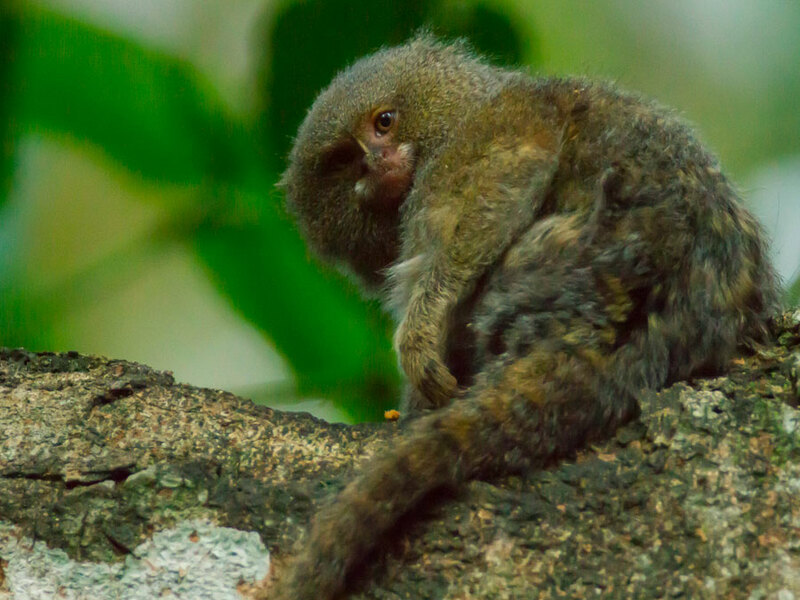 Many of the dishes are flavored and influenced from the surrounding rainforest. 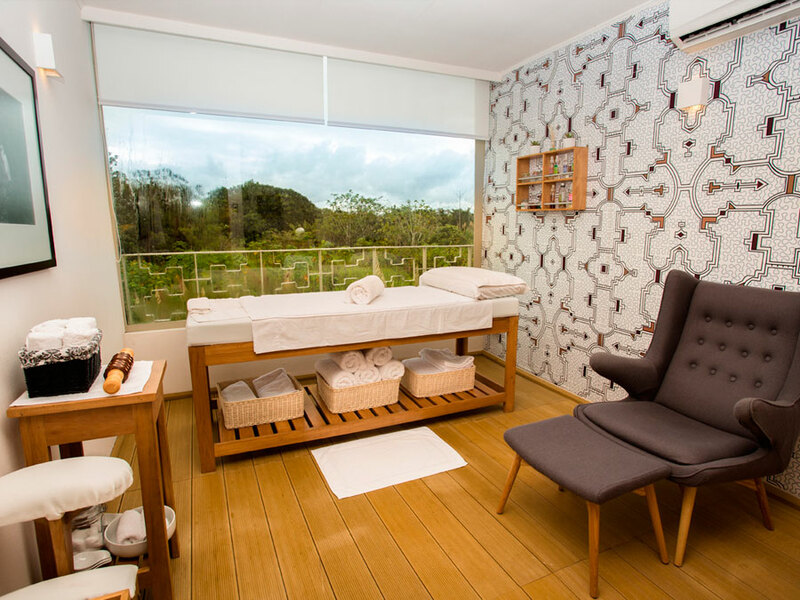 Enjoy our Rainforest Spa to enjoy various treatments and massages. The treatments are a perfect compliment to the environment. Treatments range from Yucamani stone massages, soothing avocado wraps, to invigorating coffee-cacao scrubs. If you feel there is ever too much relaxation, the vessel also includes an on-board gym. 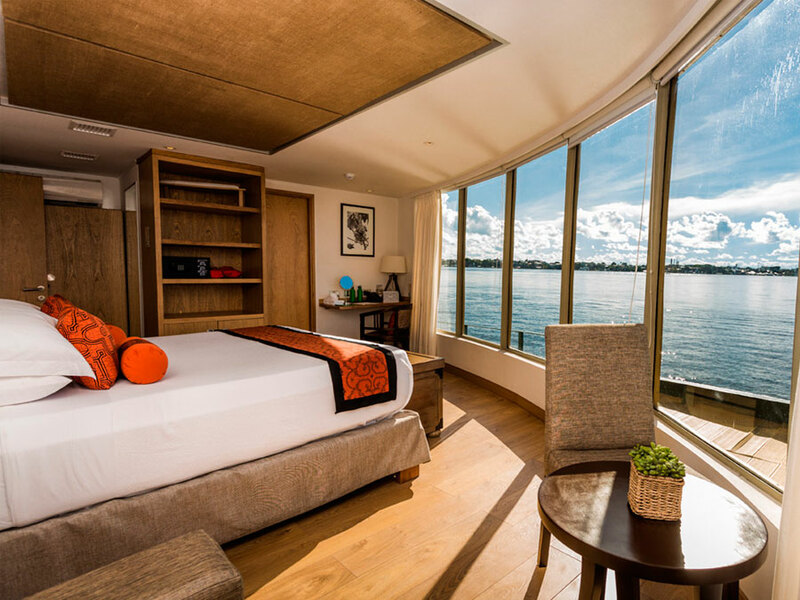 The vessel provides an air-conditioned Canopy Lounge with floor-to-ceiling, panoramic windows and attractive decor for somewhere else to relax on your cruise. 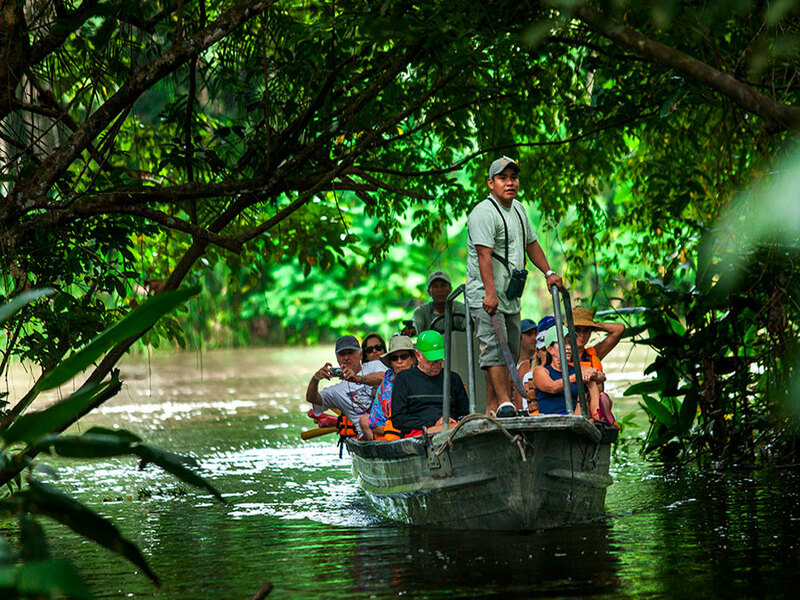 This is also the location for entertainment, such as Amazonian cooking classes, talks with expert naturalists, and nightly entertainment. 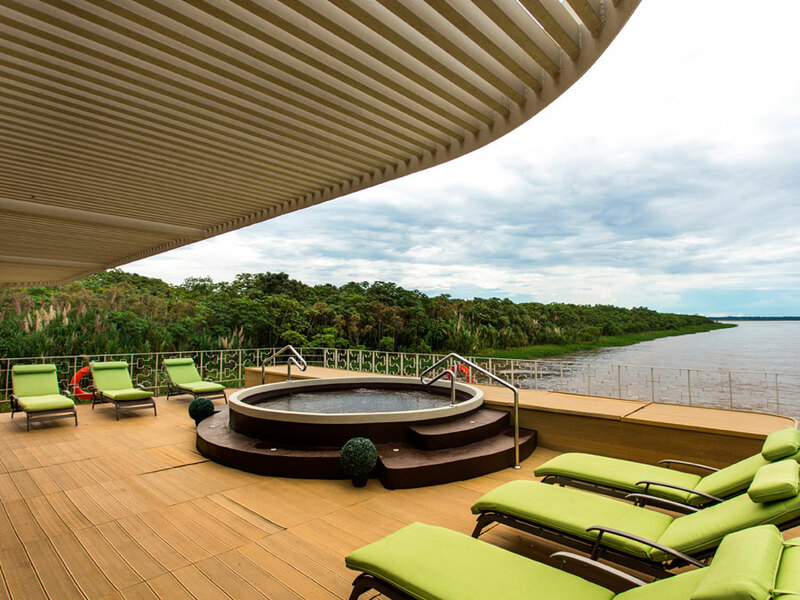 The Sun Deck is an open air area to relax aboard the Delfin III and enjoy the Amazon Rainforest. Sip a Peruvian coffee and watch the sunrise, relax with a book on the comfortable seating areas, or even enjoy the sparkling plunge pool. This is also a great place to enjoy a Pisco sour in evenings. 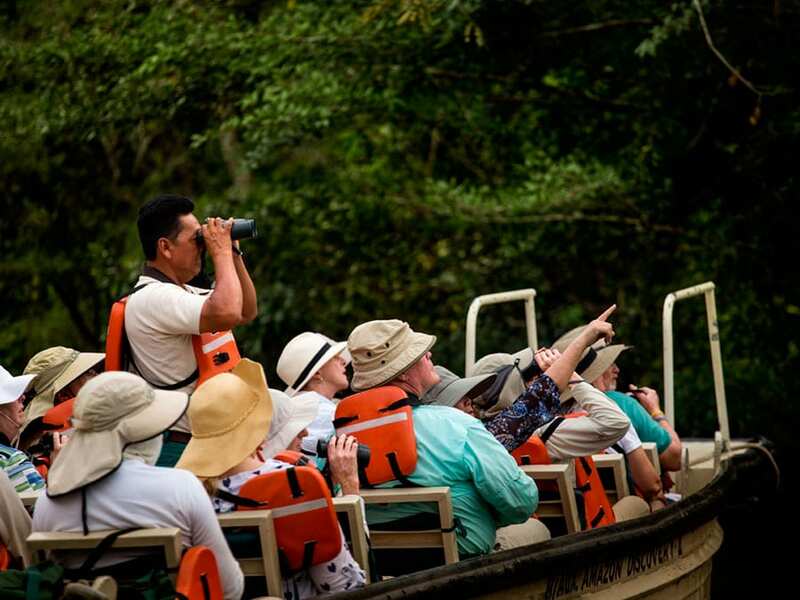 All of the itineraries aboard the Delfin III have been designed to show off the animals and plants of the Marañon and Ucayali Rivers in the Pacaya Samiria National Reserve, as well as visits to native communities. The activities are encouraged but optional and you’re always free to simply relax aboard the very comfortable Delfin III vessel. Enjoy 2 to 3 daily excursions (one in the morning, one in the afternoon and sometimes a night excursion). 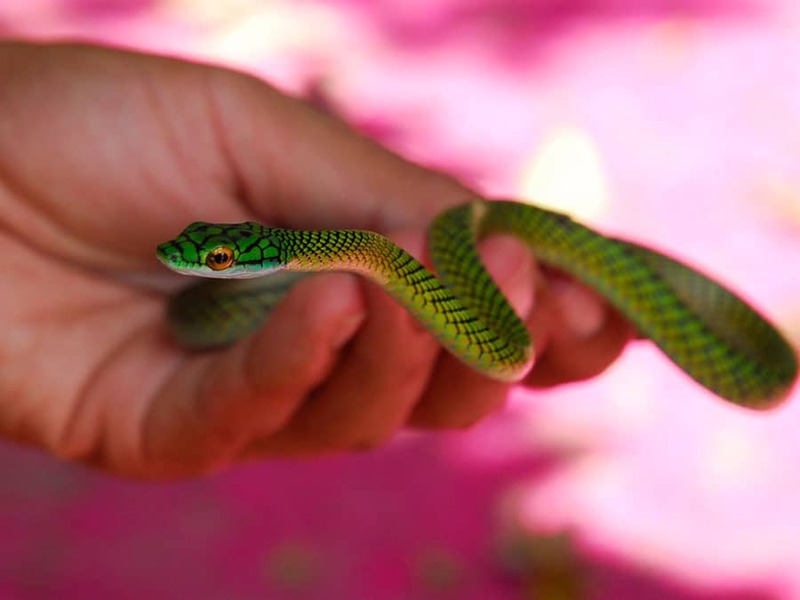 The excursions include skiff exploration of waterways and lakes, fishing for piranhas at sunset, boating along riverbanks in search of playful creatures, birdwatching, trail walks, and visits to local communities. We also offer early morning birdwatching for very keen nature lovers.